THE STATE OF TAMIL NADU REP.BY SEC. AND ORS Vs. K. BALU AND ANR. Respondent: K. BALU AND ANR. No shop for the sale of liquor shall be (i) visible from a national or state highway; (ii) directly accessible from a national or state highway and (iii) situated within a distance of 500 metres of the outer edge of the national or state highway or of a service lane along the highway. All States and Union territories are mandated to strictly enforce the above directions. The Chief Secretaries and Directors General of Police shall within one month chalk out a plan for enforcement in consultation with the state revenue and home departments. Responsibility shall be assigned inter alia to District Collectors and Superintendents of Police and other competent authorities. Compliance shall be strictly monitored by calling for fortnightly reports on action taken. This clutch of applications, nearly 68 of them, have been filed basically for (i) extension of time for compliance, in certain cases; or (ii) modification or, as the case may be, recalling the judgment delivered by this Court. 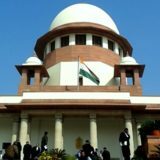 We may at the outset indicate that having regard to the nature and importance of the issue which finds reflection in the judgment delivered by this Court and the significant element of public interest that is involved in dealing with road accidents caused due to drunken driving on the highways of the nation, we have heard arguments extensively on 29 and 30 March, 2017 so that the matter can be addressed before the deadline of 1 April 2017. Some States and private parties who were not before the Court in the course of the original proceedings urged that their submissions in regard to the directions issued by this Court should be taken into account. Hence, we were of the view that in the interest of fairness it would be appropriate to enable a dispassionate consideration of their perspectives in order to determine whether any modification is required and if so, the nature of the modification that may be warranted in the final judgment of this Court. We have, therefore, not been trammelled by the technicality of whether these ‘Interlocutory Applications’ would be maintainable in a proceeding which has been disposed of. Having regard to the importance of the issues which have been addressed in the judgment and order, we were of the considered view that this Court should have the benefit of the assistance rendered by States who have moved this Court and of parties with diverse perspectives so as to facilitate an outcome which is both just and is arrived at after a fair hearing. We have accordingly proceeded to follow that line of action and have been assisted over the previous two dates of hearing by learned counsel who have brought to bear on their task a considerable degree of industry on the subject. “In compliance of the order of 15 December, 2016 passed by the Hon’ble Supreme Court of India, New Delhi, in Civil Appeal No.12164-12166/2016, the Council of Ministers of Madhya Pradesh, in its meeting at 16th January has ensured to comply in the Excise Policy Year 2017-18 that there shall be no Liquor Shop situated within a distance of 500 Metre from the service lane of the National/State Highways. No Liquor Shop shall be visible or accessible directly from the National/State Highways. Any signage or Board or advertisement depicting the availability of the liquor in any form shall be prohibited. For general information of the said provisions to the Public instructions of aforesaid intent have been issued in respect to disposal of retail sale shops of country/foreign liquor, Arrangements year 2017-18, which have been published in Madhya Pradesh Gazette (Extra Ordinary) No.27 dated 18 January 2017″. On behalf of the Delhi Tourism Development Corporation it has been stated that out of the 547 vends for liquor, 14 are in breach of the 500 metre norm. A Committee was constituted for the shifting of these liquor vends, and the process has begun. An extension of six months has been sought. During the course of the hearing, learned counsel appearing on behalf of the State of Andhra Pradesh informed the Court that the State Government has accepted the judgment and is accordingly withdrawing the Interlocutory Application filed by it. I.A.D.No. 11840 is accordingly dismissed as withdrawn. The State of Telangana has similarly informed the Court that under its excise policy, the excise year is to end on 30 September. The limited prayer before the Court is an extension of time for compliance so as to facilitate the expiry of the current licences at the end of the excise year on 30 September 2017. Besides the States listed earlier, the Court has also been seized of Interlocutory Applications instituted by individual licencees of liquor or, as the case may be, of associations representing the interests of the trade. The principle line of submission addressed before this Court by the learned Attorney General for India (appearing on behalf of the State of Tamil Nadu) is that the judgment rendered by this Court has transgressed the limitations on the constitutional power conferred by Article 142. The basis on which this submission has been urged is that the excise rules which are framed by different States under their enabling legislative powers prescribe distances for the location of liquor shops with reference to the highways. For instance, it has been stated that the distance prescribed in certain state excise rules is 220 metres. Similarly an exemption is available for municipal and local areas through which a segment of a highway passes. It has been urged that the prescription of distance under the state excise rules is interfered with by the directions issued by this Court which prohibit shops for the sale of liquor within a distance of 500 metres from the outer edge of national or state highways or of a service lane along the highway. The learned Attorney General submits that topographic and geographical conditions of each State are distinct, which is why excise rules across the country prescribe varying distances from the highways for location of liquor shops. Hence it has been urged that it is not appropriate for this Court to prescribe a fixed distance of 500 metres. The Attorney General urge that the Committee appointed by this Court (chaired by Justice S.Radhakrishnan, a former Judge of this Court) recommended a distance only of 100 metres. The error, in the submission of the Attorney General, lies in comparing national and state highways. Moreover, it is urged that even if the prohibition were to apply to both national and state highways, an exemption ought to be provided for the location of liquor shops in municipal areas through which the state highways traverse. Alternately, it was urged that a smaller prohibition in terms of distance would be appropriate in relation to state highways. The Attorney General has confined his submission to the state highways only. Dr. Rajeev Dhawan, learned senior counsel has urged that the judgment rendered by this Court is unconstitutional and is in the nature of judicial policy making. The Union of India is represented in these proceedings (as in the proceedings which led to the judgment dated 15 December 2016) by Shri Panda. Shri Panda has unequivocally asserted that the Union government stands by the judgment rendered by this Court on 15 December 2016. Shi Panda has submitted that the judgment is supported by the consistent policy and advisories of the Union government to the states to curb drunken driving and to prohibit the sale of liquor along national highways. Having said this the Court observed that there is no logical basis to distinguish between national and state highways. The menace of drunken driving and the resultant fatalities or injuries are not confined only to national highways. Hence, the judgment of this Court is neither an exercise of the court having formulated a policy or of having embarked upon a legislative exercise. 15. The submission of the Attorney General (representing the State of Tamil Nadu) and of other learned senior counsel who adopted the same line of argument, which is based on the state excise rules is lacking in substance. The state excise rules contain enabling provisions. They provide for a discretion for the grant of liquor licences. No individual has a vested right to obtain a licence. There is no fundamental right to carry on business in liquor since as a matter of constitutional doctrine, Article 19(1)(g) does not extend to trade in liquor which is consistently regarded as res extra commercium. Where an excise rule which has been formulated by a state government provides for the maintenance of a specified distance from an institution or amenity, what this postulates is that no licence can be granted at all by the State Government within that distance. The state has a discretion on whether a licence should be granted under its enabling powers. No individual can assert a right to the grant of a licence : trading in liquor is a privilege conferred by the state. The directions which have been issued by this Court do not breach any norm in the nature of a prohibition nor do they operate to lift a prohibition imposed by law. The effect and purport of the directions is that in the interest of public safety and public health, the distance from the outer edge of national or state highways or a service lane along the highway is to be maintained of 500 metres. This does not amount to the assumption of a legislative function by the Court. In fact the requirement of maintaining a distance from the highway (which even according to the submission of counsel is adopted in a large number of states) ensures that the prohibition on the grant of licences along the highway is not defeated by the presence of outlets in close proximity to the highway. The maintenance of an adequate buffer is a necessary incident of the principle, which is to prevent ready availability of liquor to users of a highway. In any event, no private individual can be heard to make a grievance of the prescription of 500 metres which is manifestly in public interest. 16. In the teeth of the statistics on road accidents which are made available to the court by MoRTH, we are not inclined to accept the submission of Shri K.K.Venugopal, learned senior counsel, that drunken driving is not the most important cause of road accidents (over-speeding according to learned counsel being the main cause). Over-speeding can also occur due to the driver being under influence of alcohol. Learned counsel urged that even in a ‘dry’ state like Gujarat, accidents occur due to drunken driving. Apart from the questionable authenticity of a private web- site on the internet, we have considered it more appropriate to place reliance on official data of MoRTH. It is also necessary to emphasise that there is a tendency to under-report drunken driving as a cause of accidents with a view not to prejudice the claims of victims or their heirs to compensation. In fact even the data relied upon by Shri Venugopal states that in 2011, the highest prevalence of accidents due to drunken driving was in Uttar Pradesh, Madhya Pradesh, Maharashtra, Andhra Pradesh and Tamil Nadu. We therefore do not find any substance in the submission. 17. The next aspect of the submissions urged before the Court by learned senior counsel is that state highways traverse across towns, cities and villages. It has been urged that the application of the prohibitory distance of 500 metres would cause serious hardship particularly if more than one state highway is found to intersect a municipal area. The example of the city of Coimbatore was cited before this Court to urge that where more than one highway intersects a municipal area the obligation to observe a distance of 500 metres would operate to cause serious prejudice. The learned counsel appearing on behalf of the associations representing the liquor trade or, as the case may be, individual licencees urged that a graduated solution which exempts those segments of the state highways which traverse through villages, cities and towns should be adopted. Shri Kapil Sibal, Shri Harish Salve, Dr A M Singhvi, Shri Jayant Bhushan, learned senior counsel, as well as other learned counsel suggested the same approach. As and by way of an example, Shri Devdatt Kamat, learned counsel appearing for the State of Karnataka informed the Court that under the state excise rules, an exemption is provided from the application of a prescribed distance of 220 metres in the case of a municipality with a population of less than 20,000 people. 18.. To further buttress the submission, it was urged that the direction which has been issued by the Court will result in a loss of revenue to the States. The direction, it was submitted, would result in individual hardship, in cases where the shifting of a liquor shop may not be possible due to geographical location or topography. Alternately, it was submitted that the shifting of a liquor shop may encounter other difficulties such as the presence of residential areas or the requirement of maintaining a stipulated distance from educational and religious institutions. 19. The judgment delivered by this Court on 15 December 2016 indicates a rationale and basis for not allowing the exemption for those segments of national and state highways which fall within the limits of municipal or local authorities. This Court noted that such an exclusion would defeat the policy since the availability of liquor along such stretches of national or state highways would merely allow drivers to replenish the stock of alcohol, resulting in a situation which the policy seeks to avoid in the first place the directions which have been issued by this Court restrain the grant of licences for the sale of liquor along national and state highways and within a stipulated distance of 500 metres of the outer edge of a highway or of a service lane along the state highway. Sale of liquor along the highways is not exhaustive of the broad canvas of areas in which licences which may be granted by a State. Apart from areas along the national and state highways (or the stipulated distance of 500 metres), licences can be granted over other areas of the States and Union Territories subject to compliance with the other requirements of the excise rules. No state has placed any data before the Court to indicate that no licence can be granted at all by it in an area other than along a state highway or the buffer distance prescribed. It would defy reason to assume that in municipal areas, availability of liquor is only along the segment of a highway. It may be attractive to the vendor to sell liquor along the highway but that is not the touchstone of a norm which protects public health and seeks to curb fatalities on the highways of the nation. The states are free to realise revenues from liquor licences in the overwhelmingly large swathe of territories that lie outside the national and state highways and the buffer distance of 500 metres. 20. The pernicious nature of the sale of liquor along the national and state highways cannot be ignored. Drunken driving is a potent source of fatalities and injuries in road accidents. The Constitution preserves and protects the right to life as an over-arching constitutional value. The preservation of public health and of public safety is an instrument of enhancing the right to life as a constitutionally protected value. Where a balance has to be drawn between protection of public health and safety and the need to protect road users from the menace of drunken driving (on the one hand) and the trade in liquor (on the other hand) the interests of the latter must be subordinate to the former. 21. Another submission which has been urged on behalf of the applicants is that the expert committee appointed by this Court (chaired by Justice S Radhakrishnan, a former Judge of this Court) has recommended a distance of 100 metres with reference to highways. In view of this recommendation it has been submitted that this Court ought not to have fixed the minimum distance at 500 metres. We find no merit in the submission. The recommendation of the Committee cannot be placed on a higher footing than what it purports to be namely, a recommendation. The opinion of the Expert Committee was duly cited before this Court during the course of the proceedings leading upto the judgment dated 15 December 2016. We are of the view that a distance of 100 metres with reference to the highway is not adequate to ensure that users of the highway do not seek access to the sale of liquor in close proximity to the highway. A distance of merely 100 metres will not serve the purpose which is sought to be achieved. Hence, we have not accepted that part of the recommendation of the Committee but have considered it appropriate to enhance the minimum distance. “In the case of areas comprised in local bodies with a population of 20,000 people or less, the distance of 500 metres shall stand reduced to 220 metres”. “In the case of those licences for the sale of liquor which have been renewed prior to 15 December 2016 and the excise year of the concerned state is to end on a date falling on or after 1 April 2017, the existing licence shall continue until the term of the licence expires but in any event not later than 30 September 2017″. In other words, no licence shall either be granted or renewed or shall remain in operation in violation of the direction of this Court beyond 30 September 2017. 24. In the State of Tamil Nadu, liquor vends are operated by TASMAC which is a state owned entity. In the judgment of this Court, time until 1 April, 2017 was granted on the request of the State. Hence, we decline to grant any further extension to the State of Tamil Nadu. 25. The third area is in relation to the States of Sikkim (argued by Shri A.K.Ganguly, learned senior counsel) and Meghalaya which have moved this Court for a suitable modification of the judgment having regard to the nature of the hilly terrain. In relation to the State of Sikkim, this Court has been apprised on behalf of the State Government that nearly 82 per cent of the area of the state is forested and 92 per cent of the shops will have to be closed as a result of the directions of this Court. Similarly, the State of Meghalaya has placed before this Court peculiar conditions prevailing in the State as a result of the hilly terrain. We are of the view that insofar as the States of Meghalaya and Sikkim are concerned, it would suffice if the two states are exempted only from the application of the 500 metre distance requirement provided in paragraph 24(v)(iii) of the judgment of this Court on 15 December 2016. 26.. Insofar as the State of Himachal Pradesh is concerned, we are of the view that the exemption which has been granted earlier in respect of areas falling under local bodies with a population of 20,000 will sufficiently protect the interests of the State. No further relaxation is granted over and above what has already been stated in that regard. 27. Finally we clarify that we are not inclined to issue a direction in terms as sought by Shri Aryama Sundaram, learned senior counsel and other counsel that the judgment of this Court should be clarified so as to apply only to shops involving sale of liquor. Since the object of the direction is to prevent drunken driving, no such relaxation can be made which would defeat the object which is sought to be achieved. 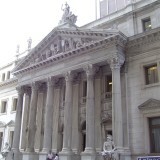 Consequently, the directions issued by this Court cannot be read down, as suggested. The directions shall be read, as they stand. 28. We accordingly dispose of this batch of Interlocutory applications in terms of the above. The Civil Appeal shall stand disposed of in terms of the judgment dated 15 December 2016 and the order passed today. Permission to file Review Petiton is granted. Objection raised by the office is waived. In view of the order passed by this Court on 31 March 2017 in I.A.Nos.4 to 6 etc.etc. in C.A.Nos.12164-12166 of 2016 and also the judgment of this Court dated 15 December 2016 in Civil Appeal Nos.12164- 12166 of 2016 etc, this Review Petition is also disposed of. In view of the order passed by this Court on 31 March 2017 in I.A.Nos.4 to 6 etc.etc. in C.A.Nos.12164-12166 of 2016 and also the judgment of this Court dated 15 December 2016 in Civil Appeal Nos.12164- 12166 of 2016 etc, this Contempt Petition is also disposed of. ….J. New Delhi; (L. Nageswara Rao) March 31, 2017. Date : 31/03/2017 These applications/appeal were called on for orders today. For Appearing Mr. Subramonium Prasad, Sr. Adv. (AAG) Parties Mr. B. Balaji, Adv. Mr. Muthuvel Palani, Adv. Mr. S. Udaya Kumar Sagar, Adv. Mr. Mrityunjai Singh, Adv. Mr.R.Venkata Ramani, Sr.Adv. Mr.V. G. Pragasam, Adv. Mr.Prabu Ramasubramanian, Adv. Mr. Yashraj Singh Bundela, Adv. Mr. Ankur Talwar, Adv. Dr.Rajeev Dhawan, Sr.Adv. Mr.N.K.Perumal, Adv. Mr.H.D.Kumaravel, Adv. Ms.V.S.Lakshmi, Adv. Mr.A.Venayagan Balan, Adv. Dr.Rajeev Dhawan, Sr.Adv. Mr.D.Das, Adv. Mr.R.B.Phookan, Adv. Ms.Neha T.Phookan, Adv. Mr.Ishan Das, Adv. Mr.Shailesh Madiyal, Adv. Mr.D.K.Thakur, AAG Mr.Shariq Ahmed, Adv. Mr.Varinder Kumar Sharma, Adv. Mr.M. Ram Babu, Adv. Mr.Ashok Bannidinni, Adv. Mr.P.V.Saravana Raja, Adv. Mr.Meka Venkata Rama Krishna, Adv. Mr.Vamshi Rao, Adv. Mr. Rayala Subba Rao, Adv. Mr.Subodh Kr.Pathak, Adv. Mr.Abhijeet Chatterjee, Adv. Ms.Shashi Ranjan, Adv. Mr.Adil Alvi, Adv. Ms.Devahuti Tamuli, Adv. Ms. Barnati Basak, Adv. Mr. P.V. Dinesh, Adv. Ms. Sindhu T.P., Adv Mr. Bineesh K, Adv. Mr. Rajendra Beniwal, Adv. Mr. Arushi Singh, Adv. Mr.Raghavendra S.Srivatsa, Adv. Mr.Venkita Subramoniam, Adv. Mr.Rahat Bansal, Adv. Mr.G.Prakash, Adv. Mr.Jishnu ML, Adv. Mrs. Priyanka Prakash, Adv. Mrs. Beena Prakash, Adv. Mr. Manu Srinath, Adv. Mr. Amol N. Suryawanshi, Adv. Mr. Prashant Kenjale, Adv. Mr.Abhijit Chattopadhyay, Adv. Mr.Sandeep Lamsa, Adv. Mr. Sanjay Kumar Lal Das, Adv. Ms. Priyanka Das, Adv. Mr.Venkateshwar Rao Anumulu, Adv. Mr.Prabhakar Parnam, Adv. Mr.Arun Singh, Adv. Mr.R.V.Kameshwaran, Adv. Mr. Ajit Kr. Sinha, Sr. Adv. Mr.A.K.Panda, Sr.Adv. Ms.Binu Tamta, Adv. Mr.S.S.Rawat, Adv. Mr.G.S.Makker, Adv. Ms. Somya Rathore, Adv. Mr. Ansh Singh Luthra, Adv. Mr.Dhruv Dewan, Adv. Mr.Vikshit Arora, Adv. Ms.Reena Choudhary, Adv. Mr.Koshubh Devmani, Adv. Ms.Ananya Ghosh, Adv. Mr.Mahesh Agarwal, Adv. Mr.Abhinav Agrawal, Adv. Ms. Sadapuria Mukherjee, Adv. Mr. Munjal Bhatt, Adv. Mr.Ashutosh Dubey, Adv. Mr.Krishnendu Sarkar, Adv. Mr.Abhishek Chauhan, Adv. Mr.V.S.Rawat, Adv. Ms. Rajshri Dubey, Adv. Mr. Sushil Pandey, Adv. Mr.A.Mariarputham, AG Ms.Aruna Mathur, Adv. Mr.Avneesh Arputham, Adv. Ms.Anuradha Arputham, Adv. Mr.Amit Arora, Adv. Mr.P.V.Yogeshwaran, Adv. Mr.Ashish Kr.Upadhyay, Adv. Mr.Aashish Gupta, Adv. Mr.Dushyant Manocha, Adv. Mr.Ishan Gaur, Adv. Mr.Aditya Mukherjee, Adv. Ms.Taruna Dhingra, Adv. Mr.S.S.Shroff, Adv. Mr.V.N.Raghupathy, Adv. Mr.Parikshit P.Angadi, Adv. Mr. Chinmay Deshpande, Adv. Mr.Jayesh K.Unnikrishnan, Adv. Ms.Manju Das, Adv. Mr.Aviral Kashyap, Adv. Ms. Sasmita Tripathy, Adv. Mr.Aarohi Bhalla, Adv. Mr.Ardhendumauli Kumar Prasad, Adv. Ms.Suvira Lal, Adv. Mr.M.C.Dhingra, Adv. Ms.G.N.Rampal, Adv. Mr.Pijush Kant Roy, Adv. Mr.Ravi Kamal Gupta, Adv Mr.Nikunj Dayal, Adv. Mr. Pramod Dayal, Adv. Ms. Payal Dayal, Adv. Mr.Tejaswi Kumar Pradhan, Adv. Mr.M.Paikaray, Adv. Mr.Sumanth Nookala, Adv. Mr.Goli Ramakrishna, Adv. Mr.Vinay Navare, Adv. Ms.Abha R.Sharma, Adv. Mr.Kaleeswaram Raj, Adv. Mr.Suvidutt M.S., Adv. Mr.Sai Deepak Iyer, Adv. Mr.Arnold Harvey, Adv. Mr. Ashutosh Nagar, Adv. Mr.Manoj V.George, Adv. Mr.B.D.Das, Adv. Ms.Shilpa Liza George, Adv. Mr.Amit Masih, Adv. Mr.Tarun Kant Samantray, Adv. Mr.Pankaj Pandey, Adv. Dr. Gajendra Prasad Singh, Adv. Mr. S. Thananjayan, Adv. Mr. Jothimanian, Adv. Mr. V. K. Biju, Adv. Mr.V.Balaji, Adv. Mr.T.Ashok Kumar, Adv Mr.Prashant Kenjale, Adv. Mr.Atul Sharma, Adv. Ms.Sripradha K., Adv Mr. Rakesh K. Sharma, Adv. Mr.Yatish Mohan, Adv. Ms.Reena Yadav, Adv. Mr.Kedar Nath Tripathy, Adv. Mr.M.A.Aleem Majid, Adv. Mr.Sameer Parekh, Adv. Mr.Sumit Goel, Adv. Ms.Nandita Bajpai, Adv. Dr. Rajeev B. Masodkar, Adv. Mr. Azeem Kalebudde, Adv. Mr. Ravi Sharma, Adv. Mr. Sumit Kumar, Adv. Mr. Sudhir Chand Srivastava, Adv. Mr. Sameer Dawar, Adv. Mr. Narender Singh Yadav, Adv. Ms. Hetu Arora Sethi, Adv. Mr. Yogesh Jagia, Adv. Mr. Amit Sood, Adv. Mr. Guntur Prabhakar, Adv. Ms. Prerna Singh, Adv. Mr. Parveen Kumar Aggarwal, Adv. Mr. Sanjay Jain, Adv. Hon’ble Dr. D.Y. Chandrachud pronounced the order of the Court comprising Hon’ble the Chief Justice, His Lordship and Hon’ble Mr. Justice L. Nageswara Rao. All interlocutory applications and the civil appeal stand disposed of, in terms of the reportable signed order. Review Petition and Contempt Petition also stand disposed of, in terms of two separate signed orders.